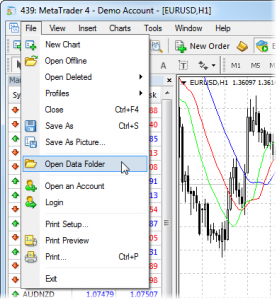 Downloadable metatrader MT4 (trading software) contains most of files (tools) and templates (files setup). Here are some that can not be found in the basic settings. You can download them here and upload to metatrader according to the instructions below. You have to have installed MT4 (MT5) software. 1. 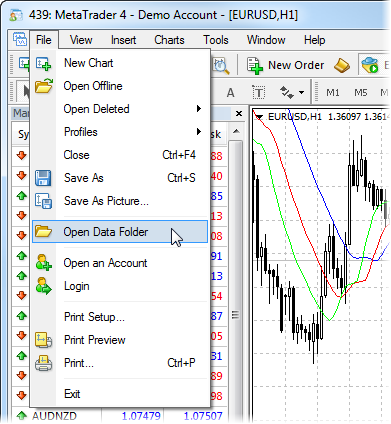 Download and copy the MT4 custom indicator file or template file on your computer. 6. On the navigator, find custom indicators. 7a. If you want to install every indicator separately, then double click the indicator in Navigator box and the indicator properties window will appear. Allow DLL imports.